Ground Cherry (Physalis pruinosa) is a new food crop we experimented with this year. The ground cherry is in the nightshade family (tomatoes, potatoes, etc) and a close relative to the tomatillo. The fruit, which is encased in a paper-like husk, tastes like a cross between a strawberry and a pineapple with sort of a tomato like texture. The fruit can be eaten raw, or used in jams/pies/breads. 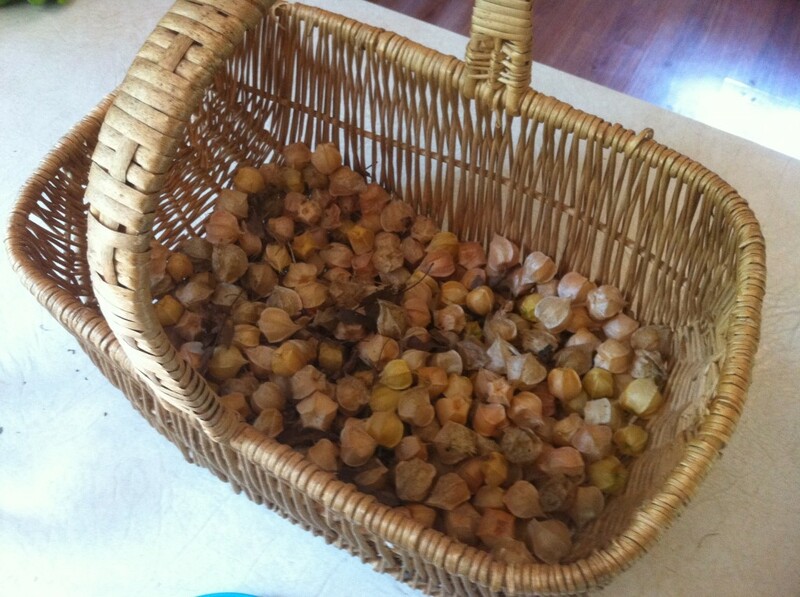 We ate many raw while working in the garden this year and also made ground cherry jam. The ground cherries were started from seed around 6 weeks before our last expected frost date (April 20th for Zone 6). After they germinated and had established we moved them out to our smallgreenhouse. Like tomatoes, ground cherries require full sun. Ground cherries and tomatillos were both experimental food crops for us this year so we devoted one of our 3′x10′ raised beds to them and planted 2 ground cherries and 2 tomatillos spaced equally down the center of the bed. We didn’t stake either of the two and just let them sprawl on the ground. I’m a firm believer in trying to plant and develop polycultures but this bed didn’t have a very well thought out polyculture design. The ground cherry and tomatillo bed also contained cleome and garden balsam which self seeds all around the garden as well as common marigold, nasturtium, and lemon balm. All of these acted to attracted beneficial pollinators and predators. Whether you are buying a whole chicken from the store or like we will begin doing in the spring, you raise your own chickens for eggs and meat, you need a good resource on how to go about cooking it. 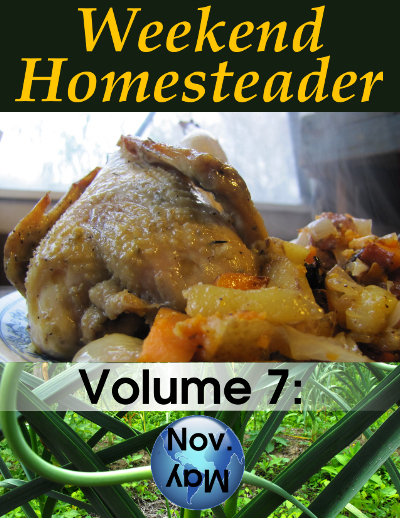 The November edition of the Weekend Homesteader ebook has great information of cooking up that chicken. The Weekend Homesteader ebook is a monthly series published by Anna Hess from The Walden Effect, Anna and her husband Mark’s blog that documents their trials, experiments, and experiences of living on a 58 acre homestead. The Weekend Homesteader walks readers through the basics of growing your own food, cooking the bounty, preparing for emergency power outages, and achieving financial independence. Each edition is setup to provide a project the reader can tackle on each of the weekends for that month. Each project is relevant to events that are going on around a homestead at that time of year. Indigenous people of America believed that eating the heart of a harvested deer transferred the spirit of the deer to the hunter. Whether one believes this or not, venison heart is an excellent source of vitamin B, protein, and has little fat. Once the deer has been field dressed, cut the heart and the liver from the gut pile. I always keep a gallon size zip lock bag in my pack to place them in. When you get home place the bag in the refrigerator until you can clean them up. Clean the heart by cutting it in half and remove all the veins, arteries, and fat. Rinse with water and cut away any damaged parts. I like to marinate and grill the heart. Cut the heart into 1 inch pieces. Marinate the pieces in 1 cup of balsamic vinegar, some fresh thyme, and salt and pepper. 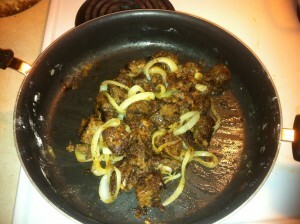 Marinate for about 24 hours. Grill the venison heart pieces on medium high to high for about 3 minutes and then turn for another 3 minutes or so. I like to do it skewer or kabob style. If you have a way you like to prepare venison heart, let me know in the the comments section.